The Methuselah of Biblioblogging, Jim Davila, draws attention to an article in Archaeology (19 June 2017) on the domestic cat’s origins in “Turkey, Lebanon, Syria, Iraq, Israel, Jordan, Saudi Arabia, and Egypt”. Noting that “Israel” is included on the list, Jim mentions that the Hebrew Bible and New Testament “never once mention domestic cats”. This is quite possibly correct. However, in an earlier post I suggested that there might be one mention of a (wild, but possibly able-to-be-domesticated) cat hidden in the pages of the Hebrew Bible. It all depends, though, on how one translates “lilith” in Isaiah 34:14 along with three other (wild) animals. In later tradition, Lilith becomes a nocturnal demon, greatly feared at least since medieval times. But Lilith has since been reclaimed by feminists, Neopagans, and Magick practitioners, and also features in the TV series Supernatural. Update (22 June 2017): Jim Davila responds. For much the same reasons he sets out, I only count my suggestion as a possibility at the moment, too. I haven’t seen any peer-review-published identifications of the lilith with a cat (but there may well be some), and I would need to find some other grounds to link the lilith to the domestic house cat (Felis catus) before I’d publish the idea. And the lilith is (as I noted) clearly wild rather than domesticated in Isaiah 34 – although, many cats (Felis catus) are indeed wild or feral. Maybe a future project. 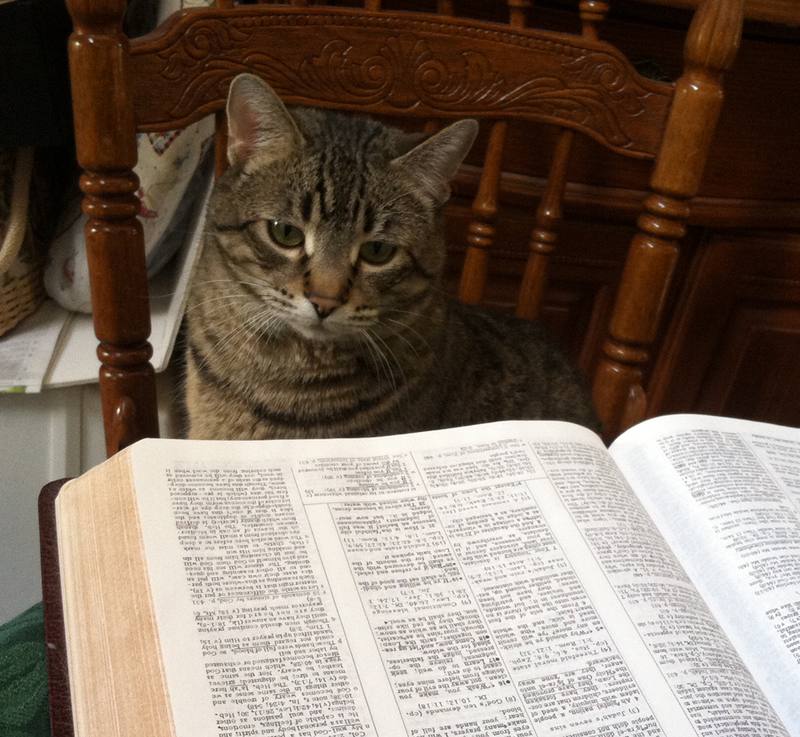 Cat-loving Bible-readers of the world must know the truth. Next Next post: Benjamin Netanyahu claims historical basis to Abraham’s purchase of Tomb of Patriarchs. But forgets that the Giants owned it. Of course Bast’s avatar is the cat, who did live in Egyptian households as well as her temples and was also trained as a retriever (yes, they could swim — banish the notion of cats being afraid of water). I do find it interesting that somehow someone has come to equate Bast with Lilith. I really am not a part of the sloppy group who tries to equate deities of different cultures with each other. There were a number of other cat-associated gods in Egypt, the most important of whom I feel is Sekhmet, she of the lion’s head. Even though she was involved in a huge slaughter really early in her mythos, she is considered to be a great protector of the land of Kemet, so I do not see the parallel with Lilith. Were you referring to the picture at the end? 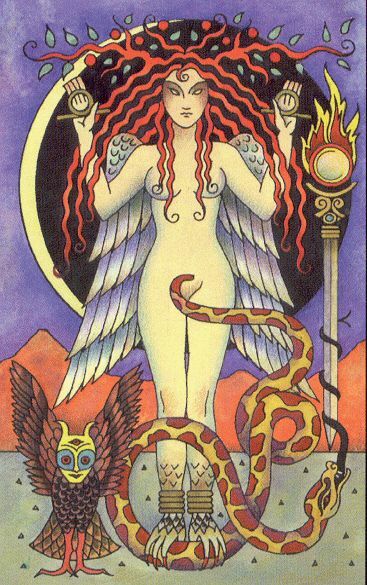 It’s from a Magickal depiction of Lilith, so Crowley-inspired, and no earlier than the 20th century. Not really. Crowley, IMNOHO was an idiot. The iconography there shows her with raptor feet –not the feet of a cat. This is much more the iconography of the Furies (Erinyes). Anyway, she is from the Hebrew Apocrapha, supposedly a “first” Eve who was too impudent. We men just have to put them in their place and all that. BAH! These are two totally different mythic lines (Egyptian V Hebrew). Anyway, I believe most of the Hebrew stories started to be collected and added to around the 5th century BCE during the Babylonian Captivity. So to with the Apocrapha. Some of that could have come directly from Sumerian and later myth. I will admit that this is not my primary area of study; however, I have always held a deep interest in it.